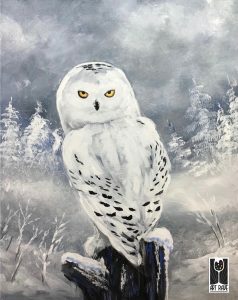 The Snowy Owl is very recognizable due to its white feathers, yellow eyes and black beak. In 1991 Rubeus Hagrid bought one for Harry Potter's birthday. Come and create this masterpiece that will be envied by your friends.